Immediately following high school Nick joined the Army and served with the 82nd Airborne Division and 25th Light Infantry Division as an Infantryman. After September 11th Nick volunteered for US Army Special Forces (Green Berets) and eventually served 2 tours in Iraq as a Special Forces Weapons SGT and Special Forces Intelligence SGT. Even during that time Nick actively worked on behalf of conservative principles and the Republican Party by writing and advocating for Republican candidates. Honorably discharged in 2009, Nick moved his family to Virginia where he began working as an instructor and Program Manager. Within 3 years Nick rose to become the Director of Operations for a Service Disabled Veteran Owned Company providing direct support to our service men and women conducting counter insurgency and counter IED operations in Iraq and Afghanistan. During that same time Nick moved to Culpeper and immediately became involved with the local Republican unit. Nick was asked by then Virginia Senate candidate Bryce Reeves to lead his grass roots operations in Culpeper. Bryce Reeves went on to defeat a 28 year Democrat incumbent, with a Republican Senate candidate carrying Culpeper for the first time since it was included in the 17th Senate district. Nick went on to become the precinct coordinator for Culpeper, developing a grass roots strategy and organization that would set records in the county for volunteer hours and Republican voter turnout. Nick was unanimously elected to be the Culpeper County Republican Committee Chairman in 2014. Nick’s wife Tina served as the President of the Founding Fathers Republican Women’s club in Culpeper and his daughter Lilly was awarded the Youth Volunteer award for making over 1200 phone calls in support of our Republican candidates in 2012. After 11 years in the Army and living in multiple places around the country the Freitas family is very happy to call Culpeper home. Freitas became the chairman of the Culpeper County Republican Committee in 2010. In 2015, Freitas ran for the Virginia House of Delegates for the 30th district, then held by Republican Ed Scott. After Scott announced his retirement, Freitas was unopposed in both the Republican primary and the general election, and took office in January 2016. He ran for re-election in 2017 and won with 62% of the vote over Democrat Ben Hixon. Freitas currently serves on the Finance, Militia, Police, and Public Safety, and Science and Technology Committees. Freitas sought the Republican nomination for the 2018 Senate election in Virginia. He was endorsed by Senators Rand Paul and Mike Lee. [ On June 12, Freitas narrowly lost the Republican nomination by 1.7% to Prince William County Board of Supervisors Chairman Corey Stewart. In a fiery speech given in March 2018 on the floor of the House of Delegates, Freitas voiced opposition to further gun control proposals following the Parkland, Florida school shooting. The speech drew over 11 million views on Freitas’ Facebook page. Freitas is a supporter of a non-interventionist foreign policy and says that the U.S. Constitution dictates it. Limited, Constitutional Government: The Virginia and US Constitutions are not a list of suggestions, but a contract between the people and their government. Representatives must actively demonstrate their support for these documents by using originalism to faithfully interpret its text. The Constitution is the law which governs government and those representatives who refuse to understand this important limitation on their power are failing in their most sacred duty to the Constitution, their constituents and all of the men and women who have fought to preserve it. Economic Liberty & Private Property: Genuine freedom is more than simply voting. In fact, without economic freedom, elections are little more than a chance for the people to select those who will be taking their property. People should be free to make important economic decisions for themselves free from intrusive and over bearing government. This means supporting low taxes, opposing onerous regulations, protecting private property rights and at all times fighting cronyism, which seeks to make business beholden to politicians and bureaucrats rather than their customers. Fiscal Responsibility: Government must always remember that it is spending the hard earned money of the people it is supposed to serve. Transparency, Frugalityand Constitutionality must be the hallmarks of government budgeting and fiscal management. Taxes should be collected fairly and equitably and should only be expended on LEGITIMATE functions of government. When the government experiences a shortfall, their first instinct should be to cut spending on non essential services, NOT to raise taxes. The government must always operate based on a balanced budget. Educational Freedom: A quality and relevant education is essential to our Commonwealths security and prosperity. Unfortunately many young people are denied a quality education due to the monopolistic practices of the government. Parents need greater freedom in determining their children’s educational needs. Teachers need more time and flexibility to educate rather than trying to constantly prepare children for their next standardized test, and we must keep Common Core OUT of Virginia education. Virginia Families: The individual and families are the building block of society, not government. The best way that state government can support Virginia families is by providing a safe and secure environment for parents to raise and educate their children. This includes fighting back against federal encroachment and defending life. A government which does not respect the sanctity of human life, is not a government which can be depended upon to protect your rights and property. That is why I am adamantly pro life and will not only fight legislation to reduce restrictions on unsafe abortion clinics, but will actively encourage, advance and patron legislation which recognizes governments legitimate interest in advancing the ethic that All Lives really do Matter! Second Amendment Rights: Defending our Constitutional right to keep and bear arms is essential. The second amendment is not about hunting or target shooting. It was borne out of our Founders understanding that inherent to individual liberty is the right to protect ones person and property. Restrictions on our right to keep and bear arms is a direct violation of both the letter and the spirit of the law and must be opposed. While I share the concerns expressed by some about firearms falling into the wrong hands, it cannot be overstated that restricting the ability of law abiding people to protect themselves and their families because of the criminal actions of some, is not only inappropriate but completely counter productive to a free and safe society. I will be a staunch advocate of our Second Amendment rights. If you have any questions for Nick Freitas, send them to Virginia onAir at virginia@onair.cc. 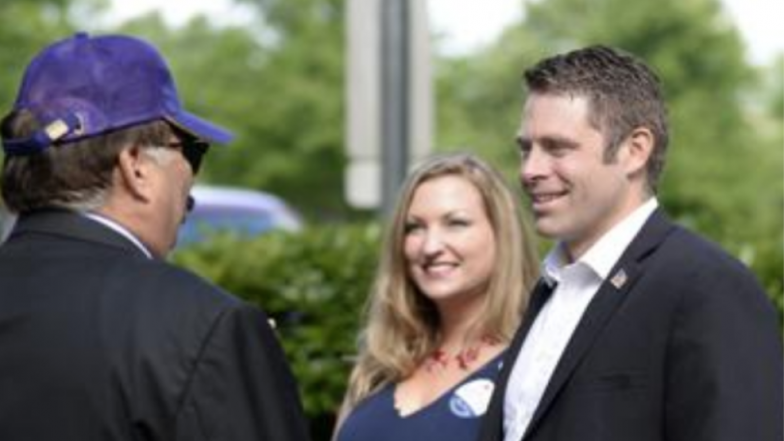 Virginia will first see if Nick Freitas has answered your question somewhere else. If they haven't, Virginia will pass on your question to Nick Freitas and post their answer, if they have one. If you have any suggestions for Nick Freitas, especially if you are a current or former constituent, send them to Virginia onAir at virginia@onair.cc. Virginia will record your suggestions here. If you have something positive to say about Nick Freitas and you are a Virginia onAir Hub member, send your recommendations to Virginia onAir at virginia@onair.cc. My name is Virginia onAir. I am the lead curator for this Nick Freitas post.